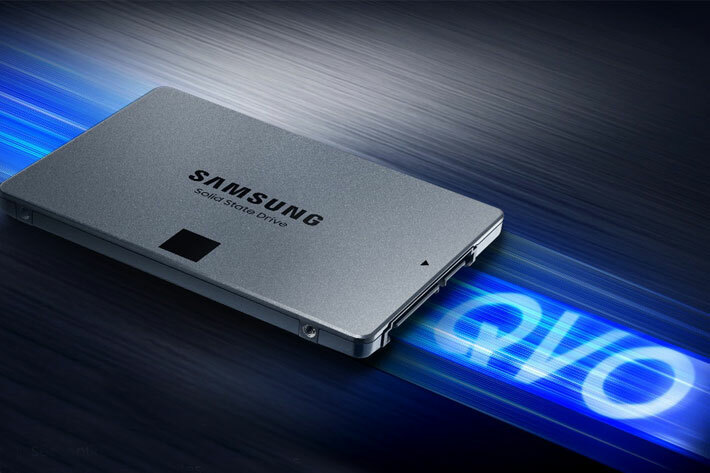 The storage segment does not stop to give us good news: manufacturers continue to offer more and more for less, and the last big bet of the market is the one that Samsung has just made in the field of SSD drives with its new Samsung 860 QVO . These devices are clearly oriented to the consumer sector (QVO is the acronym for “Quality and Value Optimized”), and they presume to use the new QLC technology with which it is possible to increase the recording density and, what is more important for many , achieve lower prices for these units. 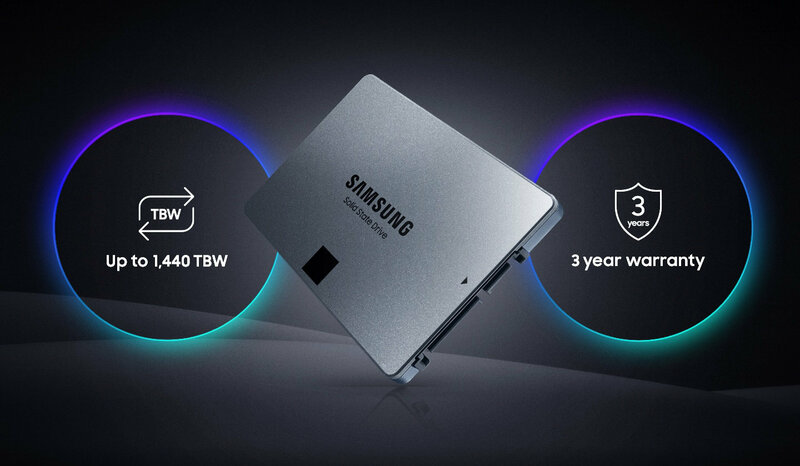 Other manufacturers such as Micron and Intel had already begun to take advantage of this QLC technology, but even so Samsung’s proposal is especially interesting because of the prices and capacities it will offer in these units, ranging from one terabyte to four terabytes . In all of them, the format of 2.5 inches and 7 mm thick, a SATA 6.0 Gbps interface and sequential read and write speeds of 550 and 520 MB / s respectively are used. Equally noteworthy is the number of random readings and writings, with 96,000 and 89,000 IOPS respectively. These models accompany the 860 EVO ranges that were launched months ago, and as they include the Intelligent TurboWrite technology that allows allocating part of the flash memory to an SLC application that creates a particularly fast cache that accelerates disk writes. A standard cache of 6 GB of these models is added that “auxiliary cache” of between 36 and 72 GB depending on the capacity of the disk, and that as we say helps to improve writing speeds significantly. The interesting thing for many is that the price of these units is really interesting: the 1TB model is priced at $ 149.99 , while the 2TB will cost $ 299.99 and the 4TB will cost $ 599.99 dollars, competitive prices with other market offers that are expected to become even more interesting in the short term. The units will be available globally from next December 3, 2018 . At the moment we do not have the official prices in euros, but we will update this information as soon as we get them.